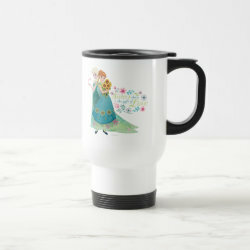 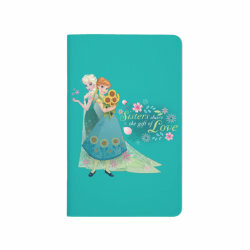 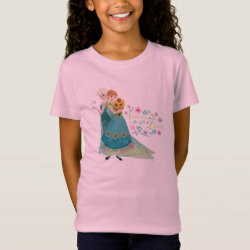 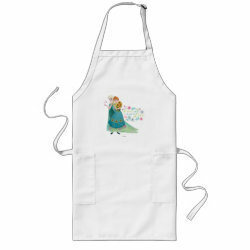 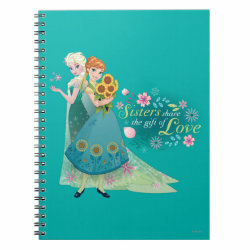 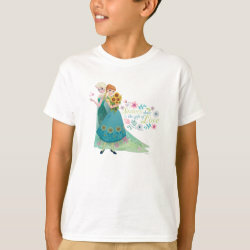 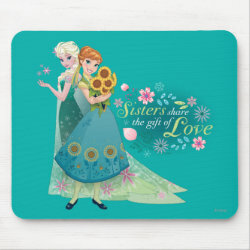 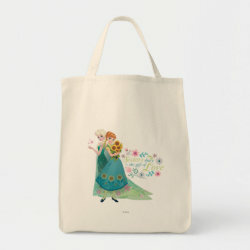 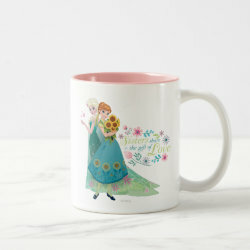 This pretty design comes from the Frozen short Frozen Fever. 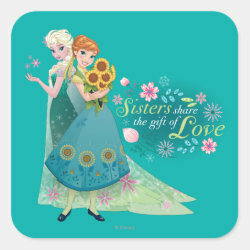 Here the sisters Anna and Elsa wear their festive summer dresses. 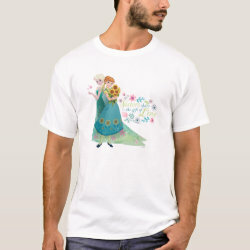 Anna has her pretty More... hair up in a braid as she holds a bouquet of sunflowers. 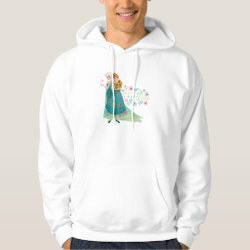 Elsa looks on from behind with a few snowflakes up her sleeve. 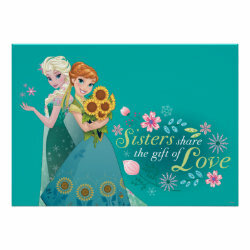 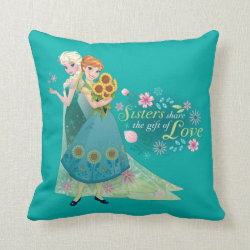 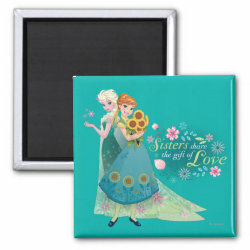 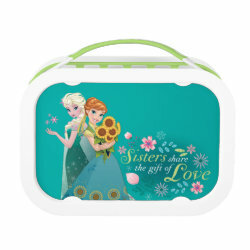 The slogan "Sisters share the gift of Love" is written in an elegant font with pretty Nordic-style floral design elements. 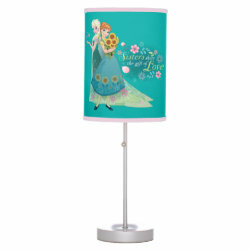 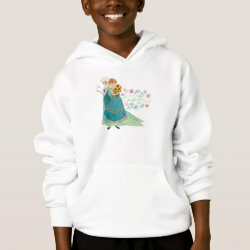 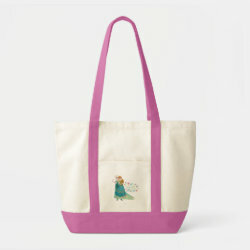 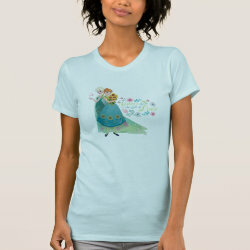 This design looks great on a white background or with a matching teal backdrop.